Just because summer is over doesn’t mean the fun has to end! Fall is all about pumpkin picking, football tailgating, and enjoying the fall foliage and here in the Midwest, Nebraskans revel in this wonderful time of year. 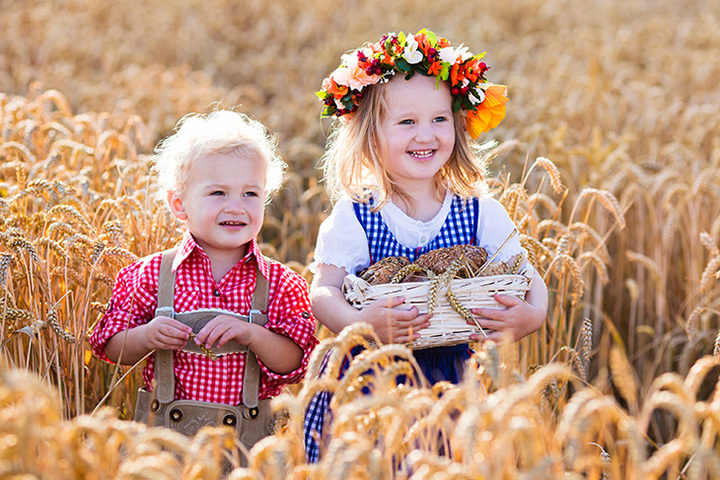 From harvest festivals to celebrations of the region’s heritage, fall is prime festival time. We put together eight of the best fall festivals in Nebraska—how many of these will you be attending? The mother of all flea markets takes place right in the heart of Nebraska every year. Nebraska’s Junk Jaunt, much like a giant garage sale, occurs in 36 towns along the Loup River and Sandhills Journey Scenic Byways and spans nearly 500 miles. For collectors and antique lovers, this is an event not to miss. Get ready for four days of pageantry, fun activities, and celebrations for the entire family at the Plattsmouth Harvest Festival. Music, tractor races, parades, live music, fireworks, and much more all happen every year in the place where corn is still king. Heritage Days in McCook is an event that takes place every fall towards the end of September and dates back decades. Organized to promote community pride, festivities include a vendor fair, performances, a parade, and many more family activities to enjoy. When the tents go up, the fun begins! Celebrate Oktoberfest in Sidney with live dancing, a downtown parade, farmers market, huge car show, wiener dog races, and of course, an epic beer garden! Every year, the small rural town of Wakefield transforms into a booming place-to-be with its annual ballooning festival featuring balloonists from across the region, including members of the Sioux Fall Ballooning Association and the Nebraska Balloon Club. In addition to the spectacular ballooning event, visitors can also enjoy other festivities, such as a car show, fair, and parade. After 89 years in Omaha, the Aksarben Stock Show, the nation’s largest 4-H livestock show, is now held in Grand Island and is organized each year to celebrate the region’s agricultural heritage. The recent move will allow the show to expand its festivities and benefit even more youth in the years to come. Every year, the historic AppleJack festival draws 60,000-80,000 visitors to the town of Nebraska City to celebrate the beginning of the apple harvest. Every apple dish you can think of is available along with multiple craft fairs, a classic car show, live music, and a three-day carnival! Every year, the Harvest Moon Fall Festival occurs in Hemingford and features a 5K walk/run event, local artists, live entertainment, chili contest, haunted maze and fantastic foods to enjoy. View more Nebraska Festivals, Fairs and Parades.